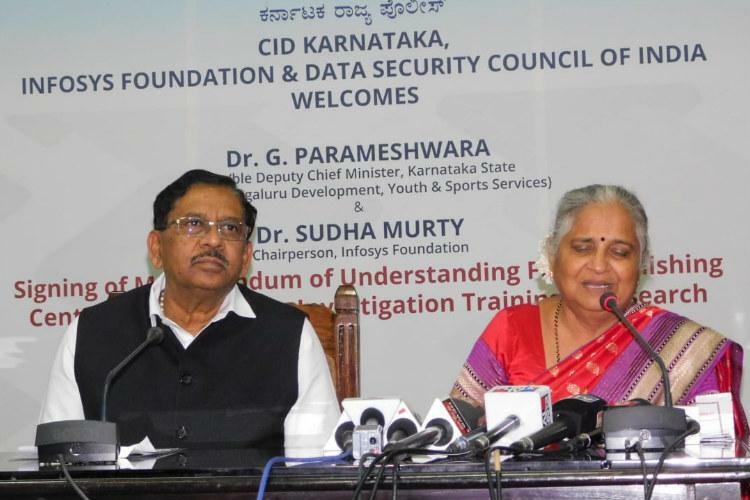 Global software major’s philanthropic arm Infosys Foundation on Wednesday said it would build the Centre for Cybercrime Investigation Training and Research (CCITR) in Bengaluru for the Karnataka Police. “The centre aims to train police, prosecution, judiciary and other departments in handling technology investigations and create standard operating procedures in cybercrime investigations,” said the city-based Infosys Foundation in a statement. The Foundation has signed an agreement with the Criminal Investigation Department (CID) of the state police and the IT industry body Nasscom-owned Data Security Council of India (DSCI) to set up the centre. Through hacking, online harassment, unwarranted surveillance, frauds, copyright infringement and other means, cybercrime not only hurts individuals, but is a threat to nations, causing billions of dollars of damage to the global economy. The facility will be used to perform research in digital forensics and cybercrime investigation to improve the prosecution of cybercrime cases investigation by Karnataka Police, the statement added. The Foundation said it will bear the costs incurred in setting up, operation and maintenance of the technological infrastructure at the centre and will provide the investment for hardware, software and capital required for holding training programmes. The cost involved in setting up of the centre, however, has not been specified. “We will also support the upgradation of the existing cyber lab for a period of five years along with technological infrastructure by providing specialised tools and incurring licensing costs,” it added. The centre will be a project for both present and the future, said Infosys Foundation Chairperson Sudha Murty in the statement. “We aim to build state-of-the-art facilities to tackle cyber and forensic crimes in Karnataka. Once operational, the centre will be a milestone to curb misuse and unethical use of technology to create distress for fellow beings,” said Murty. With cybercrime said to become one of the largest organised crimes in the near future, law enforcement agencies need to be equipped with the hardware, software and expertise to face the challenges ahead, Karnataka CID Director General of Police Praveen Sood said. “Cyberspace has turned out to be the world’s largest ungoverned space demolishing all geographical boundaries. The centre will improve the investigation and prosecution of cybercrime,” added Sood.